When you hear the phrase “wine cellar,” what pops into your mind? I picture a climate-controlled bunker attached to a gaudy beachfront mansion. 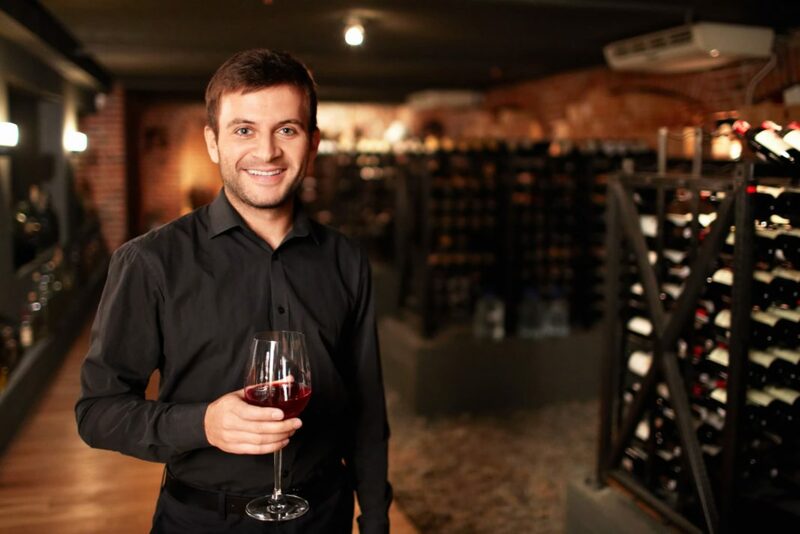 Sure, wine collecting and investing is a popular hobby among the wealthy elite and has a certain snobbish connotation – but that’s not the whole story. In recent years, it has become feasible and potentially lucrative for members of the middle class to invest in wine – in other words, to collect wine with the goal of selling it for a profit in the future. To be clear, most wine isn’t suitable for long-term investing, and it’s unlikely that you’ll find a vintage that produces eye-popping returns. But if you commit to exhaustive research and avoid making purchases that you can’t afford, you could find it to be a satisfying, rewarding hobby. Plus, even if it never earns you a dime, your wine collection can double as a source of enjoyment for friends and family. Investment-grade wine is wine that has a reasonable chance of appreciating in value over the medium- to long-term, typically at least five years. Non-investment wine can also appreciate in value over time, but it’s not recognized as a suitable investment by market experts because it doesn’t meet all the necessary criteria. According to a whitepaper by Trellis Wine Investments, true investment-grade wine makes up less than 1% of the world’s total wine supply. The vast majority of it comes from noted European wine regions, chiefly Bordeaux, Champagne, Burgundy, and Rhone in France, and Tuscany and Piedmont in Italy. A handful of Spanish, German, Austrian, American, and Australian vintners produce investment-grade wine as well. Critical Consensus. Investment-grade wine must be rated “classic” or equivalent by one or more noted wine publications, such as “Wine Advocate” or “Wine Spectator.” “Classic” usually equates to an average of 95 points or better on a 100-point rating scale. Producer Pedigree. Independent of critical consensus, investment-grade wines must be produced by wineries or vintners with impeccable reputations. Generally, this measure favors established wineries over newer entrants. Price Appreciation. The wine, either the specific vintage being assessed or previous vintages from the same producer, must have a clear record of price appreciation over a period of 10 years or longer. Longevity. The wine must reach peak maturity, often simply described as “peak” or “peaking,” at least 10 years after bottling and be able to age (while remaining pleasurable to drink) for at least 25 years. By contrast, most non-investment wines peak within one year of bottling, and fewer than 1% of all wines peak after 10 years. Production Quantity. Investment-grade wine needs a liquid secondary market. 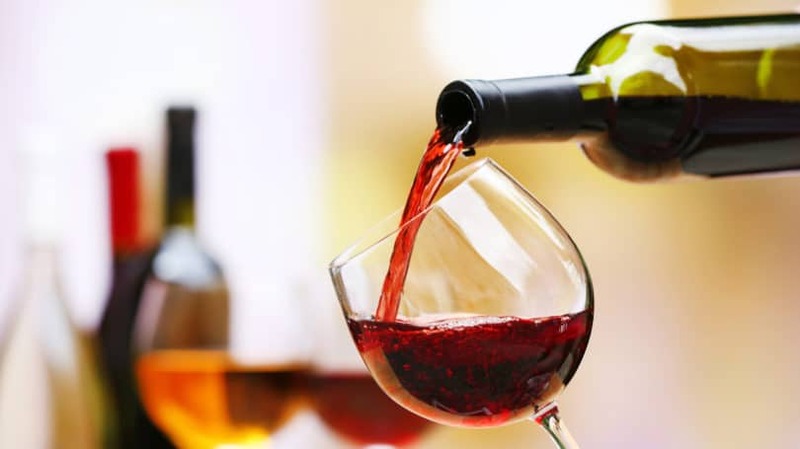 Though they may be highly valuable in theory, wines produced in very small quantities may rarely or never be sold, reducing or eliminating their usefulness as an investment. At the same time, widely produced wines may not be scarce enough to command high prices and reward collectors who want to cash out. Few (if any) investment grade wines are produced in quantities above 20,000 cases (one case is equivalent to twelve 750 ml bottles). Though there’s no hard-and-fast lower production limit necessary to ensure a liquid secondary market, wines produced in quantities of less than 50 cases may be too scarce to make reliable price predictions about, particularly if the entire supply is held by a handful of collectors. The value of investment-grade wine varies widely. It depends on a number of factors, including when the wine reaches peak maturity (wines tend to reach maximum value at or just before peak), the winery’s pedigree, critical assessment, scarcity, and current demand for a particular vintage. With few exceptions, you shouldn’t expect to pay less than $30 for a 750 ml bottle of investment-grade wine. However, wines at the lower end of the price spectrum (roughly below $200) often carry more price risk – they may not appreciate in value as time goes on. For instance, 2004 Chateau Sarget de Gruaud Larose, a red from St. Julien, France, has an excellent pedigree and was bottled with high hopes. However, famous wine critic Robert Parker characterized it as a “major disappointment,” and it now sells for about $35 per bottle on the Berry Bros & Rudd wine exchange after barely appreciating in value at all. 2008 Hermitage Rouge, a red produced by Domaine Ferraton in Les Miaux, France, suffered a similar fate. It rates 89 out of 100 by “Wine Spectator” – a good, but not spectacular, rating – and sells for about $70 per bottle at Berry Bros, mostly due to the Ferraton pedigree. Other Ferraton wines appreciate more rapidly and may sell for several times this amount. That said, wines that are highly sought-after – whether due to pedigree, critical assessment, scarcity, or other factors – can cost as little as $100 per bottle early in their lives. As they approach and reach maturity, these wines can fetch many hundreds or thousands of dollars per bottle. According to Wine Searcher, a comprehensive wine price database, the world’s most expensive wine, a pinot noir grown and produced at the Richebourg vineyard in the Cote de Noits subregion of Burgundy, has an average selling price of about $15,000 per 750 ml bottle across all vintages (most produced in the 1970s and 80s). Wine collecting is a well-established hobby, with roots stretching back at least to the mid-19th century. Since the 1990s, it has gained favor as a legitimate investment opportunity, both for hobbyists who want to parlay their passion into profit and for investors seeking portfolio diversification. Here’s what you need to know about building and maintaining a personal collection of investment-grade wine. To build a wine collection, you need to buy wine. To profit from your wine collection, you need to sell your wine through a reputable, legal platform. In-Person Auctions. Well-known auction houses like Sotheby’s offer in-person wine auctions throughout the year. Charity wine auctions, such as the New York International Wine Auction (NYIWA), are also popular, though they often come with an entrance fee ($175 for NYIWA, which includes dinner). Whether for charity or profit, in-person wine auctions typically require buyers to pay stiff commissions (also known as buyer’s premiums) to the auction house. For instance, Christie’s charges between 17.5% and 22.5% of the final sale price, depending on location. However, these auctions are a great way to find and sell sought-after vintages, and experience highfalutin wine culture in the process. Online Wine Exchanges. The three best-known online wine exchanges are Cavex, London International Vintners’ Exchange (Liv-Ex), and Berrys’ Broking Exchange (BBX). Though all three are based in the U.K., they’re equipped to store purchased wine indefinitely and can ship internationally (subject to local restrictions – check the laws governing alcohol shipping in your state). These exchanges offer access to low- (starting at about $12 per 750 ml bottle at BBX), middle-, and high-priced wines. They often don’t charge buyer’s premiums or other fees for buyers – neither CaveX nor BBX does. They tend to have tremendous selections as well: BBX has about 14,000 different wines in stock, for instance. However, not every wine that trades on these exchanges technically qualifies as investment-grade. If you’re serious about buying only investment-grade wines, shop carefully and do your homework. Specialty Stores. Specialty wine shops tend to carry wines that age well, including bona fide investment-grade wines from top-tier producers and regions. However, selection may be limited relative to online exchanges, and truly sought-after wines may be absent. There’s no commission or buyer’s premium associated with buying from a store. Vineyards. Depending on the laws in your jurisdiction, you may be able to buy direct from a vineyard without incurring a buyer’s premium (in fact, since direct sales cut out the middleman, you could find some great deals using this method). If both you and the vineyard are located in a state that permits alcohol shipments, you can buy your wine online and have it shipped to your residence. If not, however, you need to buy your wine in person and personally transport it back home. This can be tricky and costly: Depending on your state’s laws, you may need a temporary license from your state liquor control board. And buying wine direct from an international vineyard can be next to impossible. In addition to any buyer’s premium you might have to pay, you can expect to shoulder taxes and shipping fees for your wine purchase. 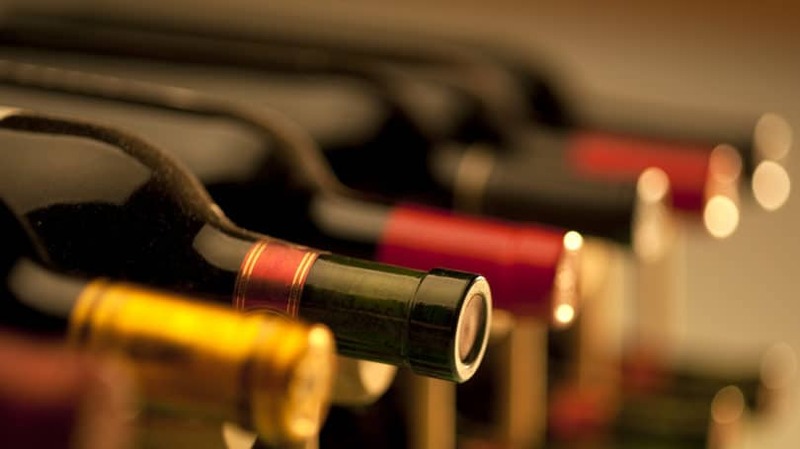 Wine purchases are subject to state and federal excise taxes (sometimes called “luxury taxes”) that vary by wine type and strength, as well as by jurisdiction – and this is in addition to state and local sales taxes. According to the Bureau of Alcohol, Tobacco & Firearms (ATF), the federal excise tax ranges from $1.07 per gallon to $3.40 per gallon, depending on strength and type. State excise taxes range from $0.11 to $3.16 per gallon, depending on location, wine type, and wine strength. Excise taxes are typically levied on the seller (or broker, such as an auction house) and passed on to the buyer. Shipping fees can vary widely, depending on your location, the seller’s location, and the venue you buy from. The per-bottle fee generally decreases with selling volume, so a multi-case purchase is far more economical on this measure than the purchase of a bottle or two. For instance, for a single bottle, WineBid charges $15 for standard ground shipping to most places in the continental United States. For an entire case, standard ground shipping within the continental U.S. is $33. Provenance is the practice of tracking the chain of ownership of a particular item as far back as possible, its condition and handling during that time, and its overall authenticity (confirming that what’s in the bottle matches what’s on the label). It’s critical to ensuring that you pay a fair price for your investment-grade wines and maximize their value when it comes time to sell. Apps and services like CellarTracker and Wine Owners collect and store much of this information (including detailed storage data) in one place, reducing the likelihood that records will be lost or misinterpreted. If you’re planning to sell your investment-grade wine in the future, it’s strongly recommended that you use such a program to track and manage your collection. If you want your wine to age properly and achieve its maximum potential, both in terms of taste and value, you need to store it in carefully controlled conditions. This controlled storage is commonly referred to as “cellaring.” There are two principal ways to cellar wine: building a customized storage cellar on your property, or using a reputable public facility, whether independent or affiliated with an online wine exchange. 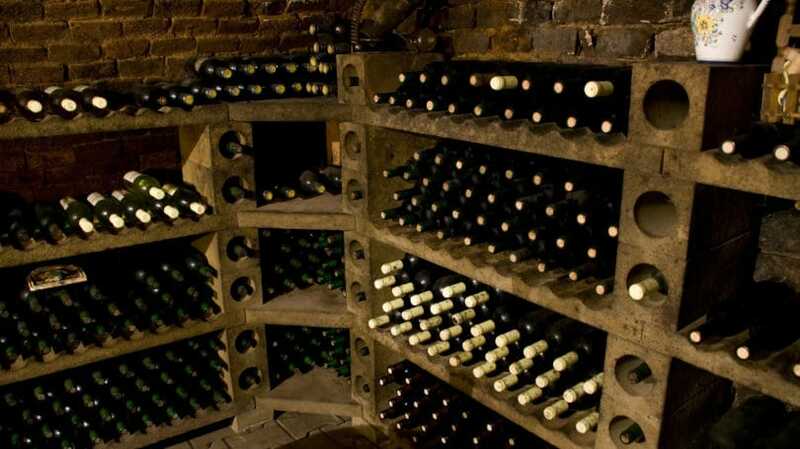 The biggest advantage of storing your wine on your own property is being able to access it whenever you please. However, to age properly, wine needs a cool, relatively moist environment. The ideal is 55 degrees (50 to 60 degrees is okay) Fahrenheit and about 60% relative humidity (50% to 70% is acceptable). While that might sound like the lowest level of your house, it’s never a good idea to store investment-grade wine in an unfinished basement. The risk of mold, moisture, and temperature damage is simply too great. Instead, invest in an airtight, climate-controlled wine cellar capable of holding several hundred bottles. Costs vary widely: Wine cooling (specialized HVAC) units cost at least $1,000 and range up to about $10,000. Airtight doors cost $1,000 to $4,000, racks cost $2 to $15 per bottle, and flooring costs at least $5 per square foot. If your cellar isn’t attached to your house, you may also need a security alarm (monthly subscriptions ranging from $29 to more than $100, plus installation costs ranging from $0 to more than $1,000, depending on your security provider) and motion-sensing lights ($35 to more than $300, depending on your setup). Finally, any sizable wine collection needs specialized wine collection insurance to protect it against fire, flood, earthquake, shipping damage, certain natural disasters, and other perils. Coverage costs typically start at $0.40 per year, per $100 of wine, but can exceed $1 per year, per $100 of wine, depending on factors such as security and your home’s vulnerability to natural perils. Most wine experts recommend cellaring your wine in a reputable storage facility. Professional wine storage facilities take care of all the security, climate control, and loss prevention considerations essential to long-term wine storage. There are several different professional storage options: facilities maintained by auction houses and exchanges, dedicated wine storage facilities, and self-storage facilities with specialized wine storage units. Annual storage costs at all three facility types start at about $300 for a 3′ x 3′ space (capable of holding more than 200 bottles) and rise from there. While drinking your investment-grade wine might not be the worst thing in the world, it’s not the most profitable way to dispose of your collection. Fortunately, there are several common ways to sell wine to other collectors and well-heeled members of the drinking public. In-Person Auctions. Auction houses such as Sotheby’s, Christie’s, and Condit and Morrell & Co offer selling opportunities and can be particularly useful if you’re offloading highly valuable wines. However, since auctions may occur in a specific location and during specific periods, you may need to plan ahead. Also, auction houses tend to charge rather high selling fees. These are typically assessed on a sliding scale that considers factors like quality, selling quantity, and producer, and may range from nothing to as much as 20%. The more valuable your collection, the more likely it is that your selling fees will be lower or waived entirely. Online Auctions. Wine auction sites like VinFolio, WineBid, and Spectrum Wine Auctions are great selling venues as well. Selling costs vary widely. For instance, at Spectrum Wine Auctions, buyers shoulder all costs, with sellers receiving the full amount of the sale. Meanwhile, WineBid takes a commission of anywhere from 14% to 20% of the sale price, passing just 80% to 86% to the seller. WineCommune is in the middle, with commissions ranging from 2% to 5% (depending on sale price). Also, some auction sites impose minimum consignment limits of anywhere from $1,000 to $10,000 – for instance, WineBid’s is $2,500. Online Wine Exchanges. Cavex, London International Vintners’ Exchange (Liv-Ex), Berrys’ Broking Exchange (BBX), and other online exchanges all facilitate person-to-person sales. Though selling minimums vary by exchange, you may be able to sell as little as one bottle at a time. In other cases, the minimum selling threshold may be a single case or a specific currency amount. Selling commissions vary widely: CaveX takes just 3% of the final selling price, passing 97% along to the seller, while BBX takes 10% of the final selling price. The IRS defines investment-grade wine (along with fine art, rare coins, sports memorabilia, and certain other tangible asset classes) as a collectible. According to the federal tax agency, sellers who hold their wine for at least a year are liable for collectibles tax (a form of capital gains tax) at a maximum rate of 28%. Gains on wine held less than a year are taxed as regular income – marginal rates up to 39.5%. (To confirm your expected tax liability, be sure to check with the IRS or a tax professional before selling.) Depending on where you live and/or where you sell your wine (for instance, if you sell it at auction or via private sale outside your home state), you may also be liable for local taxes. Investment-grade wine can be a powerful status symbol. In fact, economists classify investment-grade wine as a Veblen good. Unlike most markets, where demand falls as the price increases, the market for Veblen goods is the opposite: Demand and price rise in proportion, seemingly contradicting the basic law of supply and demand. Other items typically classified as Veblen goods include fine art, sports memorabilia, and certain classic cars. Increasing Demand in the Developing World. Rapid economic growth in China, India, and other areas of the developing world has dramatically expanded the ranks of the wealthy there. These newly empowered elites see wine both as a legitimate investment and as a status symbol, driving global demand. Emergence of a Robust Secondary Market. The Internet has made it easier than ever to electronically buy and sell investment-grade wines, or shares of funds that hold investment-grade wines. Several online secondary wine marketplaces now exist, including the London International Vintners’ Exchange (Liv-Ex), Berrys’ Broking Exchange (BBX), and CaveX. Though these three are based in the U.K., they’re open to international investors, including U.S. citizens. It’s also possible to invest directly in wine funds, such as the Bottled Asset Fund and Wine Asset Managers. These funds purchase investment-grade vintages in high quantities, using sophisticated methods of analysis to identify compelling opportunities. However, wine funds are typically open only to high-net-worth individuals or institutional investors, and come with a host of unique risks that make them unsuitable for novice investors. High Upfront Cost. Wine can be a costly investment. Truly sought-after bottles of wine can cost $500, $1,000, or even more, making them difficult to afford. Even if you limit your collection to bottles worth less than $100 at purchase time, it could take you years to build a sizable collection, depending on how much money you can devote. 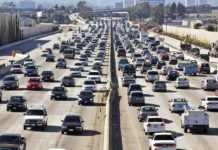 During this time, you need to pay storage and insurance costs. Quality Risk. Sure things don’t exist in the world of wine collecting and investing. Even wineries and appellations with impeccable pedigrees and reputations for quality can produce dud wines that don’t gain value over time. This is why many experts recommend collecting and investing in wines that you enjoy and not spending too much on any one bottle. If a particular vintage doesn’t pan out, at least you can drink it – and doing so won’t break the bank. Fraud. Though fraud isn’t rampant in the wine business, it happens. Some schemes are massive in scope: According to Decanter, a fraudster named Rudy Kurniawan made at least $35 million producing and selling counterfeit Burgundy wines during the mid-2000s. It took years for wine experts and law enforcement agencies to catch on – Kurniawan wasn’t arrested until 2012. Therefore, if you’re interested in the higher end of the wine market, seek guidance and verification from reputable, independent wine experts. External Risk. Demand for investment-grade wine is often at the mercy of factors that have little to do with wine. Many wine markets are supported by collectors and wealthy individuals in the developed world. Changing economic or political conditions in countries such as China, Russia, and India can have profound effects on the behavior of collectors and consumers there. For instance, according to Bloomberg, Chinese demand for Bordeaux wines dropped by as much as 30% during the second half of 2014 in response to the Communist Party’s crackdown on corruption and lavish spending among its functionaries. This softened the broader market for Bordeaux vintages, temporarily depressing the paper value of Bordeaux collectors’ holdings. Other Types of Loss. Wine is a tangible, fragile good. There are many ways to destroy a wine collection: fire, flood, mold, earthquake, rough handling, theft, and more. Though your insurance policy may cover the face value of your collection, it might not compensate you for the true market value of your lost bottles. You can reduce your risk of preventable loss by cellaring your wine in a professional storage facility. Though investment-grade wine does offer legitimate opportunities for savvy investors, it comes with a host of considerations that you don’t have to worry about with more traditional investments. 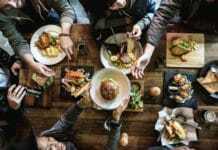 All investing involves the risk of loss of principal, but nontraditional investments like wine can be particularly risky – even if those “in the know” swear they’re not. If you’re truly serious about collecting investment-grade wine, you need to talk to an investment advisor with experience in this area. Otherwise, you might be better off dabbling in wine collecting as a hobby – if you can afford it. As a hobbyist, you might make a tidy profit on a bottle or two here and there, if you can bring yourself to part with any. But if you don’t, it’s not the end of the world. Unlike most other collectibles, wine actually tastes good. Do you know anyone who collects wine?